What can the ocean's deepest sub-floor tell us about Earth's ancient history? Plenty, according to the International Ocean Development Program (IODP). For years now, IODP has been drilling, coring, and monitoring the sub-seafloor in a quest to gain a greater understanding of our multifaceted planet. 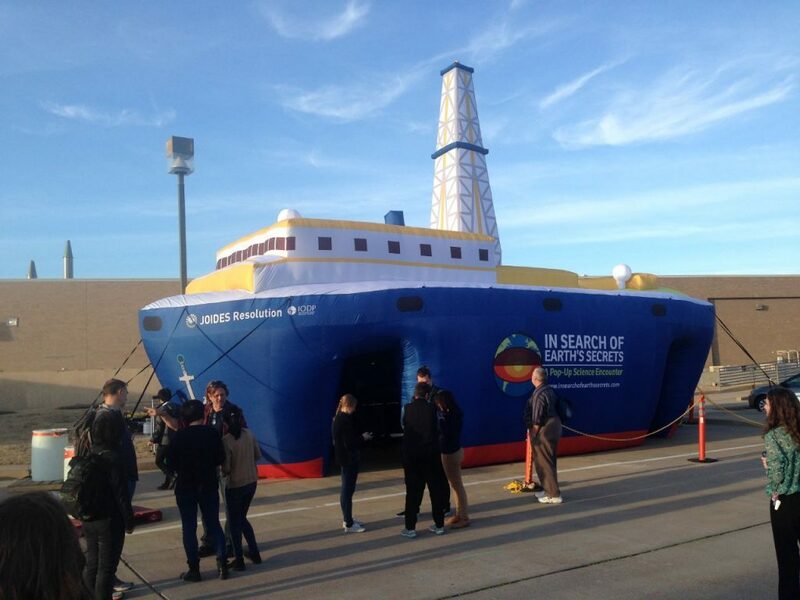 Now IODP is bringing its discoveries to communities all over America, through its national traveling exhibit, "In Search of Earth's Secrets: A Pop-Up Science Encounter." Designed for display at fairs, festivals, and similar venues, "In Search of Earth's Secrets" involves learners of all ages in exciting hands-on activities. The huge, elaborate display includes a 30-foot interactive floor map plus eight engaging learning stations. At the heart of it all stands "JR": an exact inflatable replica of the famous JOIDES Resolution, IODP's flagship research vessel. 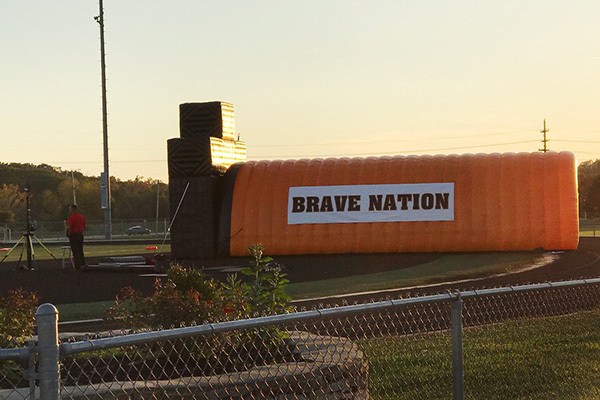 Measuring 45 feet long, the "JR" giant inflatable was custom-built by Landmark Creations. Inside, visitors enjoy an immersive theater presentation, highlighting some of the real JR's fascinating findings. Recently "In Search of Earth's Secrets" debuted in Martinsville, Virginia, where it drew enthusiastic crowds. In future months, the exhibit will move to Brunswick, New Jersey, and Brooklyn, New York. After that, it will travel coast to coast, stopping at areas currently underserved by science resources. And "JR," the inflatable replica ship, will play a key role at every stop. 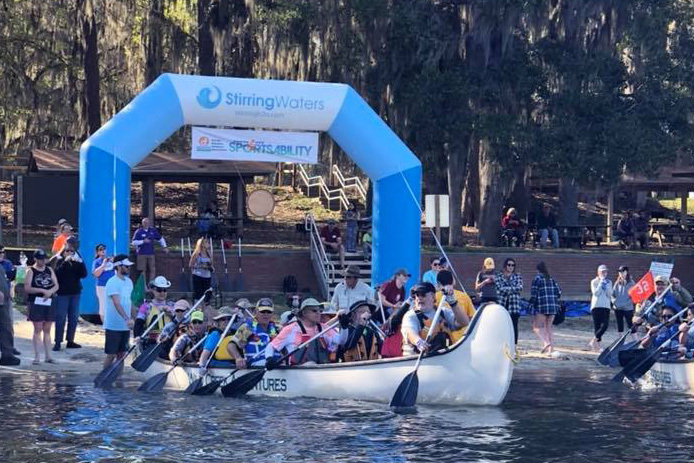 The Florida Disabled Outdoors Association (FDOA) has a dream: StirringWaters, a fun-filled therapeutic waterpark that will accommodate people and families living with disabilities. But, to turn the dream into reality, the nonprofit group must first raise sufficient funds. 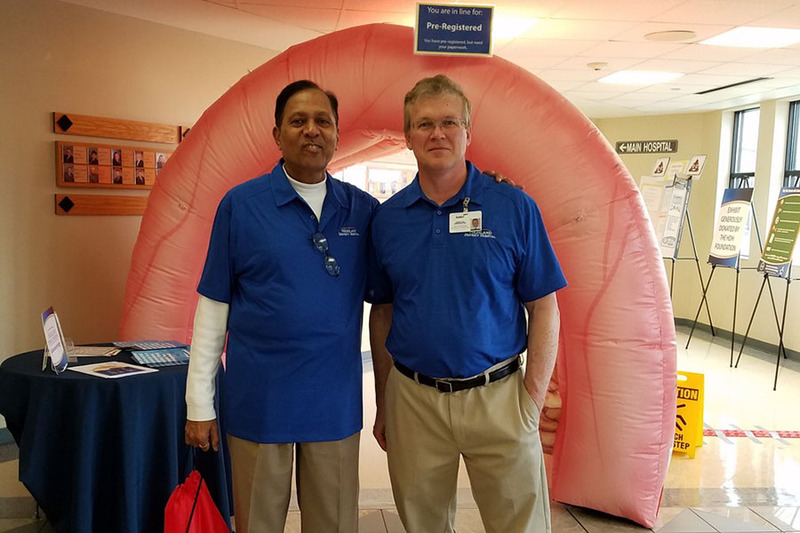 Highland District Hospital faced a daunting challenge: How could they convince more people to make appointments for colonoscopies? Their answer was highly inventive. They commissioned Landmark Creations to build a giant inflatable colon. How do you build brand awareness in a crowded, competitive market? That was the challenge facing the folks at Federal Premium Ammunition. They had a premium product – Prairie Storm pheasant shotshell – but they needed to get the word out. As a high school coach in Wilson, South Carolina, Lawrence Eaddy was already familiar with Landmark Creations. "I'd purchased my first inflatable tunnel [from Landmark]," he reports. "I knew the quality of their products." 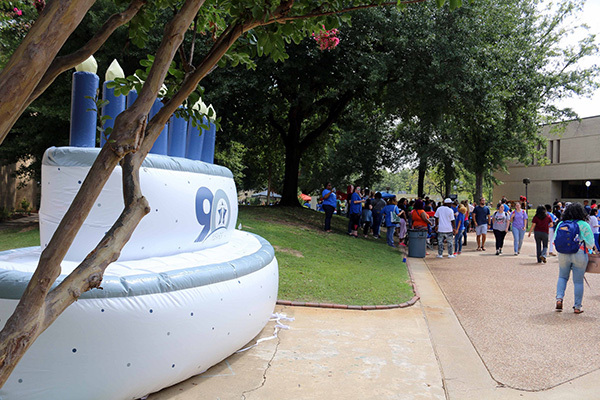 How do you celebrate the 90th anniversary of a beloved Northeast Texas institution? With a giant inflatable birthday cake, of course. That's why Texarkana College asked Landmark Creations to custom-build a huge "confection" in the school's familiar colors. According to Suzy Irwin, Director of Public Relations and Institutional Advancement, "We wanted a student-friendly display that could remain on campus during the year." At the same time, she says, the two-year community college wished to raise local awareness of its rich, longstanding relationship with the broader community.